Whether or not you are a kid, a rolled sugar cookie in some fun shape with colored sprinkles always seems fun. Rolled sugar cookies can be made any time during the year. Don't be intimidated when you those fancy looking pre-made cookies in the store; this recipe is easy and delicious (and might even taste better!). 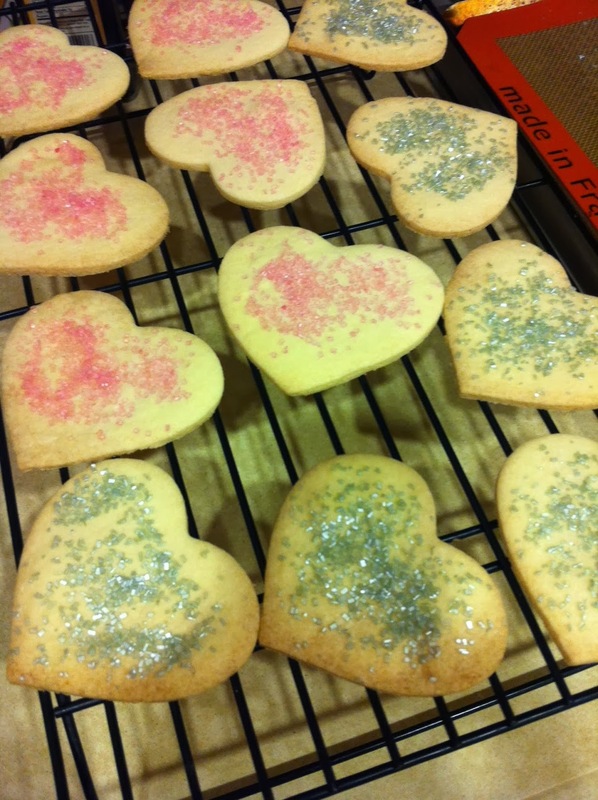 The original recipe came from www.food.com, called “Gluten Free Dutch Sugar Cookies." I’ve made some adjustments to it as well. This is one exception where you need to use the flours listed instead of my mix; it makes it much lighter. I wanted to report that based on Rebecca's experience, I tried Amy's recipe as well. They were fabulous! The dough was very easy to work with and did not stick to the work surface or crack. The cookies when baked did not crumble or break. My kids like to frost the cookies with a simple icing of powdered sugar, water, and vanilla and the sprinkle with colored sugars. The cookies did not break when the kids did their decorating. But, best of all, the cookies taste wonderful! My husband couldn't even tell that they are GF! Amy, I am a fan! 1. Preheat oven to 350°F. Prepare 2-3 baking sheets by lining with parchment paper or silicone baking mats. 2. In a small bowl, mix together dry ingredients (first 6 ingredients). 3. In the bowl of a stand mixer fitted with the paddle attachment, cream together sugar, butter and shortening. Add the egg and vanilla and mix briefly. Add the dry ingredients, and mix to combine. 4. Take the bowl out of the mixer. Add 1/4 cup of the potato starch and mix with your hands until it is well combined and not too sticky. Add more if necessary and use the rest for rolling. If the dough seems very sticky, place in the fridge for 10 minutes. 5. Divide the dough in half. Place some potato starch on the counter and put dough on top. Place more potato starch on top and roll out to about 1/8 inch thickness. Use more starch so the dough does not stick to the rolling pin or counter. Make sure the dough thickness is consistent so the cookies bake evenly. 6. Using cookie cutters, cut into shapes and place on pan. 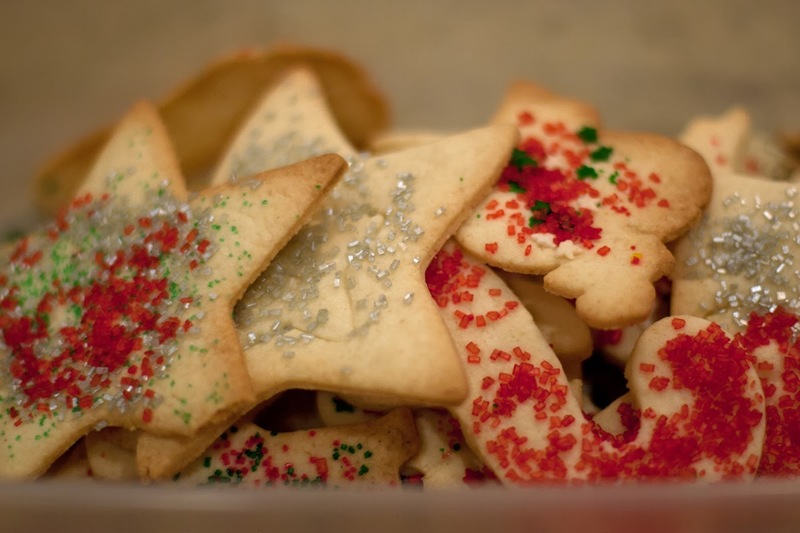 Optionally, decorate with sprinkles before baking. 7. Re-use the scraps and roll out again, but try not to handle too much. 8. Bake for about 8-10 minutes, rotating once. Cool for at least 3 minutes before removing from the pan. Cool on wire racks.